Based in Vergt, in the Périgord region, Andesol is ideally located at the heart of truffle and wild mushroom paradise. The company has become a true reference in terms of dried, frozen, powdered or mealed and canned mushrooms. Focus on the biography of this company, a major hit! Founded in October, 1987, Andesol benefited from an infinite know-how in the agribusiness sector. Specializing in the wholesale of fruits and vegetables since almost 30 years, indeed, it was able to acquire a major experience in this sector of activity, from the commercial viewpoint but also in terms of packaging food products. As for Andesol’s history and mushrooms, it began in 2000. Inspired by the passion for these fascinating products, the company indeed decided to put its expertise and know-how at the disposal of restoration and agribusiness professionals by becoming mushroom wholesalers exclusively. Eager to meet the demands of its clients, Andesol gives priority to excellence, when it comes to the quality of its products and the service. Therefore, whether they’re dried, frozen, or canned, the mushrooms go through rigorous checks, guaranteeing their taste and proper conservation. Why did we choose this profession? Right from the beginning, Andesol understood that its profession will lead to wonderful adventures all around the world. Due to the rarity of mushrooms on the French soil, the company traveled around foreign countries and sometimes even remote locations to stock up. From India to Canada, not to mention Patagonia (Chili and Argentina), Turkey and Kirghistan, it continued to go beyond borders and meet wild mushroom collectors around the world. This direct contact with farmers also was a treasure from the human aspect and even today Andesol is proud to advocate this. 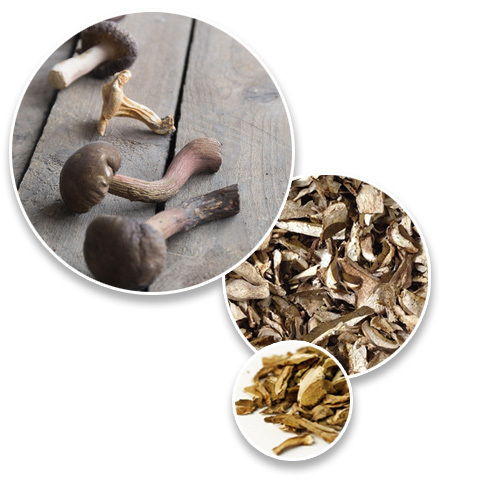 All the products and services offered by Andesol are always closely related to mushrooms. This is Andesol’s vocation. Since almost 17 years, the company keeps looking for new ideas to satisfy the specific expectations of the clientele. Since its creation, Andesol strives to diversify its products as much as possible. Fresh, dried, canned, mealed, powdered or even frozen, its mushrooms are imported from several countries around the world and then distributed around Europe. Morels, Boletus, Ring mushrooms, black trumpets, Chanterelles, truffles…the company went around several continents to offer all kinds of mushrooms to individuals and professionals. In order to meet the specific consumer desires, Andesol has also given importance to the diversity of its mushrooms in terms of quality. It goes without saying that a caterer won’t have the same demands as an industrial manufacturer, the latter only looks for products which aren’t so expensive for his activities. Consequently, Andesol has established various methods over time allowing to assess the quality of its mushrooms and categorize them. Moreover, the size was also among the criteria of selection for the company. Indeed, it’s important to note that even if it’s about only one type of mushroom species, the dimensions of the latter could vary, be doubled or tripled. This is why Andesol decided to finely sort them out and offer more or less consistent products. Theoretically, it’s about classifying them in various categories of size, ranging from 1 to 2 cm, to more than 6 cm. Andesol today is a European reference in the sector of mushrooms and its position as a major specialist in fresh and dried morels from South America. Also represented in Paris, the National Interest Market of Rungis, wholesale importer of mushrooms distributes its high-end products all over France and in various countries of the Old Continent. Besides from its national collaborators, it has various representatives who keep a close watch on the harvest, sorting, drying in the mushroom producing countries with whom it works. Surely a human-scale company but present all around the world to experience its passion.